We Believe that Healthy Hair Starts From The Inside/Out. Hello HairNiStars. We believe that Healthy hair is a lifetime journey. Growing hair is just like being a farmer and growing crops. You have to take care of it and if watered properly and nourished, you will reap a bountiful harvest. The same concept and principles holds true to the hair. Far too often, we have put our hair on the back burner. What I mean by that is that sometines, women treat weaves and wigs as though it is their own hair or even worse, sometimes better than their own hair. Hopefully, through the Healthy Hair Society and some of the blogging we do all around cyber space. 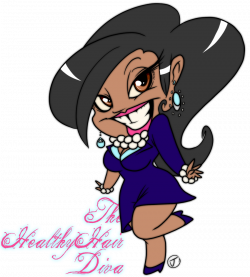 We will help add our part to this Healthy Hair Journey and become a major part of helping you to achieve, longer, stronger more beautiful hair.